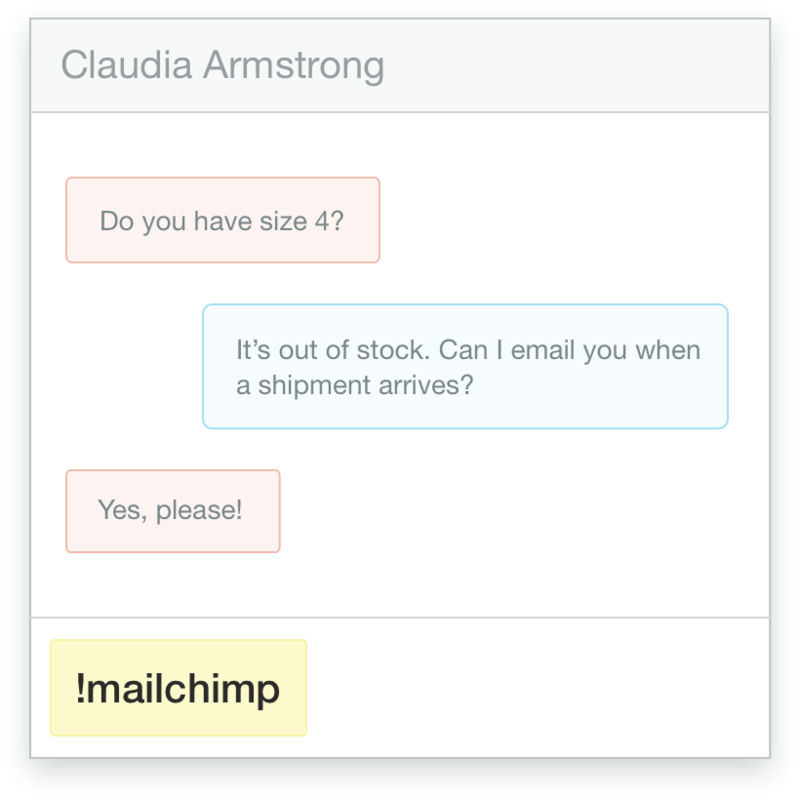 Targeted marketing made simple - Add a customer on Olark live chat to a MailChimp email list. During any Olark chat as an agent, type !mailchimp and hit enter. 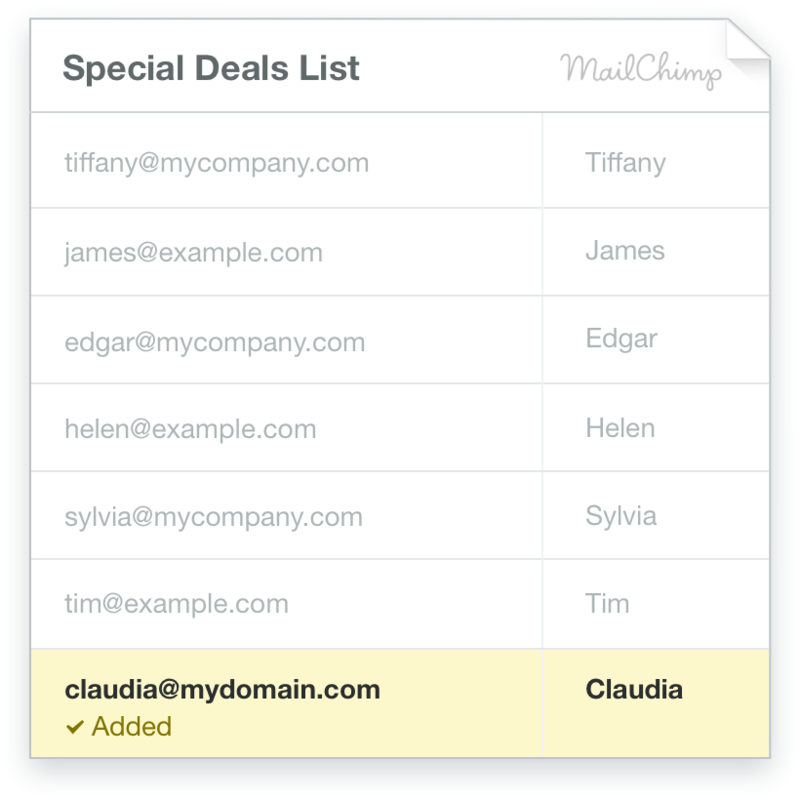 We’ll add the visitor’s email address to your Mailchimp mailing list. Here's a how-to guide for connecting Olark and MailChimp. Ready to turn on the Olark and MailChimp integration?